It’s time for the Lady Wildcats to put on their dancing shoes for the first time. 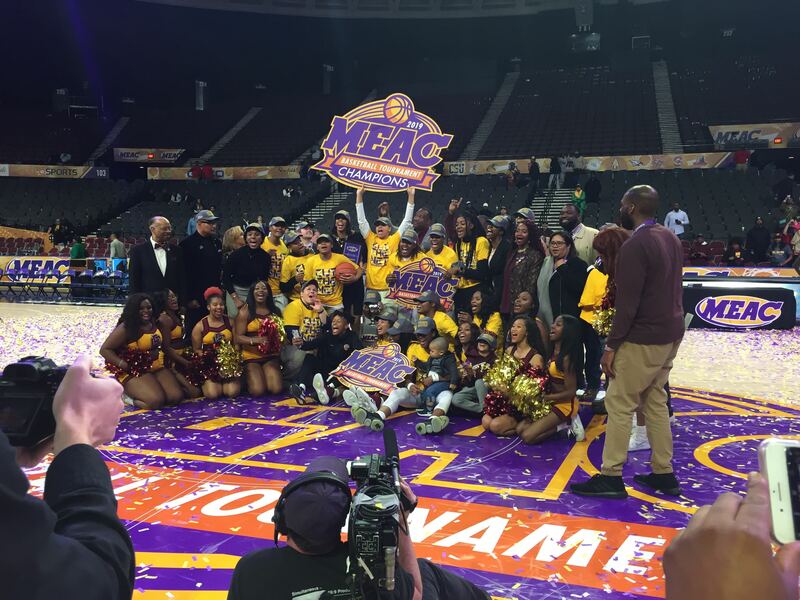 Bethune-Cookman took down Norfolk 57-45 in the MEAC women’s Championship on Saturday. The victory is the first conference championship in 25 years for BCU and ushered an inaugural NCAA Tournament bid. In the first quarter, BCU started slightly in the hole and trailed NSU 4-0 with 6:38 left. A quick BCU run tied the game at 6, but NSU responded to take a 10-6 lead at the end of the first quarter. The Lady Wildcats trailed throughout the second quarter with NSU going up by as many as nine points. A clutch three at the buzzer from Angel Golden cut the trail and sent BCU into halftime trailing 23-17. The Lady Wildcats seemed to know what was at stake after the half. A 14-3 run capped by two free throws from Golden gave BCU a 31-28 lead with 3:52 left in the third. NSU tied the game at 33 with under a minute left, but BCU went into the fourth up 36-33. The Lady Wildcats did not relinquish their lead throughout the rest of regulation. A 12-3 run in just over the first three minutes gave BCU a 12-point lead, it’s largest of the night. NSU slightly cut the trail to nine, but BCU pushed it back up to double digits with the 57-45 win. Golden led BCU in scoring with 18 points, followed by 12 points from Amaya Scott. Chasimmie Brown racked up 16 rebounds, all defensive. The Lady Wildcats are now 21-10 overall and will receive their bracket placement on Monday, 7 PM on ESPN via the Selection Show.